Damien Wayne Echols, Melissa Byers, Norris Deajon et al. "Paradise Lost 2: Revelations" revisits the 1994 Arkansas murder of three 8-year-old boys and the three teenagers convicted of the crime. 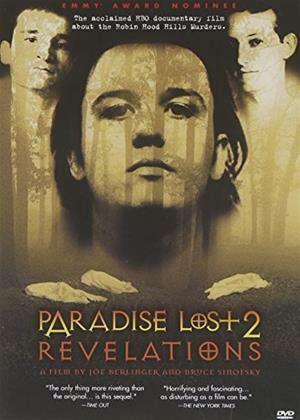 A follow up to Paradise Lost, Revelations features new interviews with the convicted men, as well as with the original judge and police investigators. While focusing on advocates who believe the young men are innocent Revelations also includes footage of the stepfather of one of the victims, who some suspect might be involved in the crime. A disturbing and moving documentary, Revelations is investigative journalism and advocacy at its best. This case, as with the OJ Simpson and Jon Benet Ramsy murder trials, for better or worse, will remain in the spotlight for years to come as an example of America's judicial system gone astray.